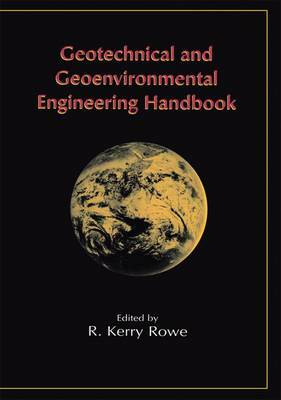 This handbook discusses, in one volume, a wide array of topics that have entered the mainstream of Geotechnical and Geoenvironmental Engineering over the past two decades, while at the same time not losing sight of the more conventional aspects of the discipline. The topics covered range from conventional saturated soil mechanics to unsaturated soil behavior, rock mechanics, hydrogeology and geosynthetics. The book deals with pavements, shallow and deep foundations, embankments, slopes, retaining walls, buried structures, dynamics and earthquakes, contaminant transport, groundwater monitoring, and the containment, treatment and remediation of contaminated sites. Risk assessment and risk-based management for both geotechnical and geoenvironmental applications are discussed.The book is intended as a handbook both for individuals requiring an introduction to a given topic and practitioners and researchers already knowledgeable in the field but seeking a quick reference to refresh their memory regarding the most recent techniques and guidance to other places to look for more information. The various chapters of the book have been extensively cross-referenced to assist the reader who opens the book at the section most relevant to their current needs in finding other relevant material in this book. The 50 contributors to the 30 chapters of the book are all recognized experts in their field - from industry and the academic world.